I'd like to take a moment to stop and count our blessings during church service this evening. Approximately 7:10pm, I'll access this document and begin typing what those meeting at the building are grateful for. You can access this document too from home and type right along with us, with it appearing on our big screen. Click this link to type your blessings in along with us. How I Hate to Miss the Mark! I recently experienced the awful grief that comes from missing the mark of my target. For those who don't hunt much, there is a specific area of vitals we want to hit that brings about a quicker harvest and less suffering for the animal. That's what we practice bow hunting for, to hit that mark. The buck came within 40 feet, and when I made a little noise, he turned to give me the perfect broadside shot. I pulled the bow back excitedly, but momentarily forgot how to aim! I realized I wasn't laying the bowstring on my cheek, I wasn't looking through the peepsight, wasn't sure which pin to use to line up my distance! I hurriedly made adjustments as he started to move. I released the arrow and immediately knew I hit him (I could see the point of impact) but knew I missed my mark. I missed it by hitting too high and toward the rear of the animal, missing the vitals. Over three hours and a half mile of tracking later, we had to call off our search. We had lost the blood trail and had no deer meat for the freezer. Missing by 6-9 inches of that "bullseye" mark was enough to give me guilt in knowing that the deer went through extended suffering that I didn't intend or want. It gave me guilt in know that I spent over 4 hours away from my family with nothing to show for it. It gave me grief knowing that in that moment of testing, there were no excuses, I ... missed ... the ... mark. 5) to wander from the law of God, violate God’s law, SIN. 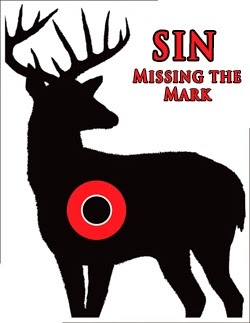 Like missing the mark for a hunter, sinning for all of us humans leaves us without a share, wandering from the path of uprightness, violating God's law. As a hunter I understand that missing the mark on the hunt brings needless death & suffering and disqualifies me from my prize. It certainly did on this deer hunt. It's also not too hard to understand that we all as humans have missed the mark God has set for us in life, and thus are qualified only for death, no prize. In hunting there is no grace nor forgiveness for missing the mark, but thanks be to God through His everlasting love Christians have grace and reward in Christ Jesus our Lord! Share His good news of grace with all. 2. Realize Your Purpose - You aren't pushing them away. We cannot be leaven kept in a little package on the shelf of the kitchen. Leaven has to make contact. It has to penetrate the bread dough. Penetrating in the bread dough, the leaven loses its identity but notice the result - a delicious loaf of bread! Pass close to the bakery when they are taking bread out of the oven. You will want to stop, go in and buy some bread! This is like the Christian who penetrates his own family with the presence of Jesus Christ. But what if the salt stays in the saltshaker? We can be pure salt but if we never get out of the saltshaker and are never put on the food, we will never give the taste of the gospel to our families. Make mashed potatoes with no salt and see how it has no taste. Now add some salt and mix it in. Now those who taste it will say: "I like mashed potatoes!" The members of your family, on seeing your life, might exclaim: "I like the Christian life!" Don’t put the light under a basket. That will do no one any good. Light has to illuminate the place where you live. 4 “Hear, O Israel! The Lord is our God, the Lord is one! 5 You shall love the Lord your God with all your heart and with all your soul and with all your might. 6 These words, which I am commanding you today, shall be on your heart. 7 You shall teach them diligently to your sons and shall talk of them when you sit in your house and when you walk by the way and when you lie down and when you rise up. 8 You shall bind them as a sign on your hand and they shall be as [b]frontals [c]on your forehead. 9 You shall write them on the doorposts of your house and on your gates. Get them on something you see everyday. *Put it on your Screen! *Put a Bible, in every room. Structure it around something you already do. What is the most regular thing your family does? *Surefire ways to blow family devotionals & studies? 1. Be so rigid that they think all of their salvation depends on keeping tonight's study. 4. Expect Immediate Results - "Revelation 21:8 - Burn Burn Burn, Liars". 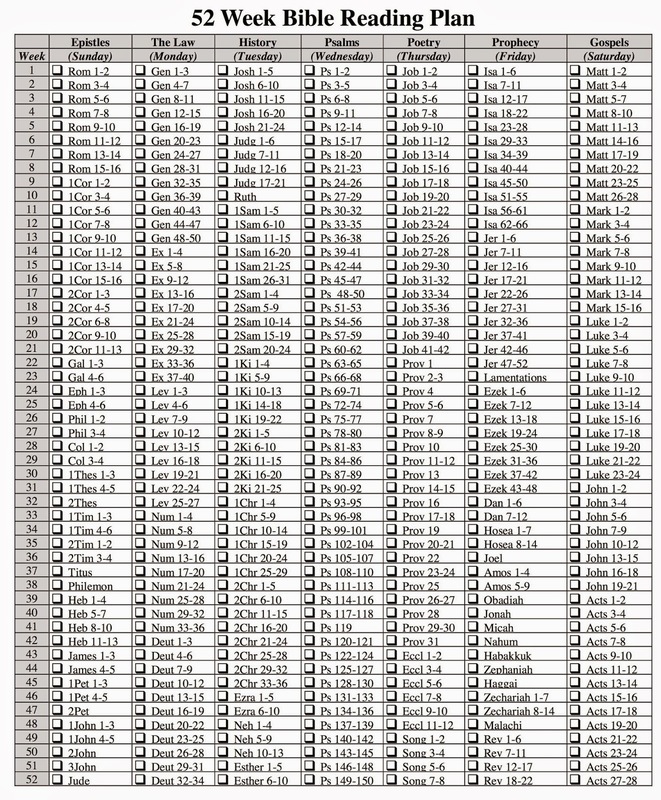 Get a concordance. A good one. Don't move too fast! (a chapter per study might be too fast! Put some money in it. We vote with our money. 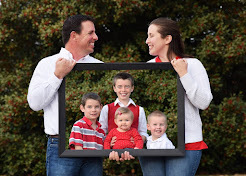 Create your own family study group. Search Online Store "Family Devotional"
What do you do with the time you're given? While much of the world was up in arms at the way young Brittany Maynard chose to end life on earth in the wake of her brain cancer diagnosis, I quietly watched, waited, listened, and learned. I didn't give a single opinion, post, share, or like, I just learned. The biggest lesson I've learned is that my remaining life would be best spent modeled from the Bible and those of faith around me. Here are a few of the passages and people I've learned from. Whether you know the end of your days or not, make more effort to enjoy them, especially when they are good. "Rejoice, O young man, in thy youth; and let thy heart cheer thee in the days of thy youth." - Ecc 11:9a. When I think about who does this best, is there anyone at our church who does this better than Jarissa Page? Let's take a lesson from her as we endeavor to smile more and rejoice often. Facing trials with God can bring about joy and other good qualities, not just in us, but in those who help & watch during trials. "Count it all joy, my brethren, when ye fall into many trials;3 Knowing that the proving of your faith worketh patience.4 And let patience have its perfect work, that ye may be perfect and entire, lacking in nothing." - James 1:2-4. I've been inspired for years by stories of Virgil Wininger, the care he had for his terminally ill wife, and how he joyfully brought her to WCOC. Could it be that God perfects the rest of us too while watching the faithful service of others going through trial? Hope for good is strongly connected to purpose. "And we know that in all things God works for the good of those who love Him, who have been called according to His purpose." - Romans 8:28. Through observation, whether young or old, those who know God and know they are called for His purpose, handle illness different. They have hope; hope that God can heal them, hope that God will use the time they have left for His glory, hope that their life with God might inspire someone else. Warren Keller is an excellent example in our church of someone who knows God's purpose and fulfills that purpose with hope even during tough times. There is a bigger plan than just me and my story. "You intended to harm me, but God intended it for good to accomplish what is now being done, the saving of many lives." - Gen 50:20. While I don't believe God intends all the bad things that happen, I do believe He can and does use some tough times to bring about a bigger and better plan for His chosen. Just ask Jason Petty about God's big plans. We don't have to look any farther than the Bible lived out by members of Washington Church of Christ to find wisdom, hope, joy, and purpose for our lives. God gives us but a vapor of time to live life. Let's live it to His glory! By now many of you have learned about our geocaching escpades. What is "geocaching" you might ask? It is basically a GPS based treasure hunt that anyone with a smart phone can do for free. We're relatively new to it, but it has roots dating back to a 160 year old game called "Letter Boxing". The concept is still the same in that we use cardinal directions and instructions to find hidden treasures. 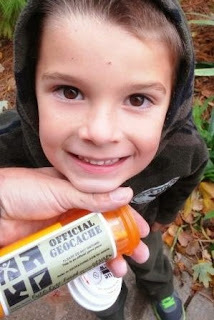 We have a lot of exciting finds in the Geocaches left by community dogooders and organizations. My favorite find so far is a baseball autographed by a little league baseball team in Washington. When you ask Gabriel and Ethan about their most exciting find they will tell you about one of the three geocaches that we have found inside Washington's Eastside park. One day we were on a photoshoot and I had G & E hide behind a tree so they were out of sight of the camera. In all of their curiosity, they spotted a hole in the tree, climbed to get their eyeballs on the hole, and found a geocache logbook inside! We signed the logbook as "MOA Tribe" and placed it back in the tree. They were so excited for their first accidental find that we interrupted the photoshoot for our logbook signing and celebratory high fives! I want to encourage you to break out of your normal studies to put your eyes up to the often overlooked passages of scripture. Sure, those studies that have you following the directions of a concordance or specific topical path do enlighten you on a specific idea. 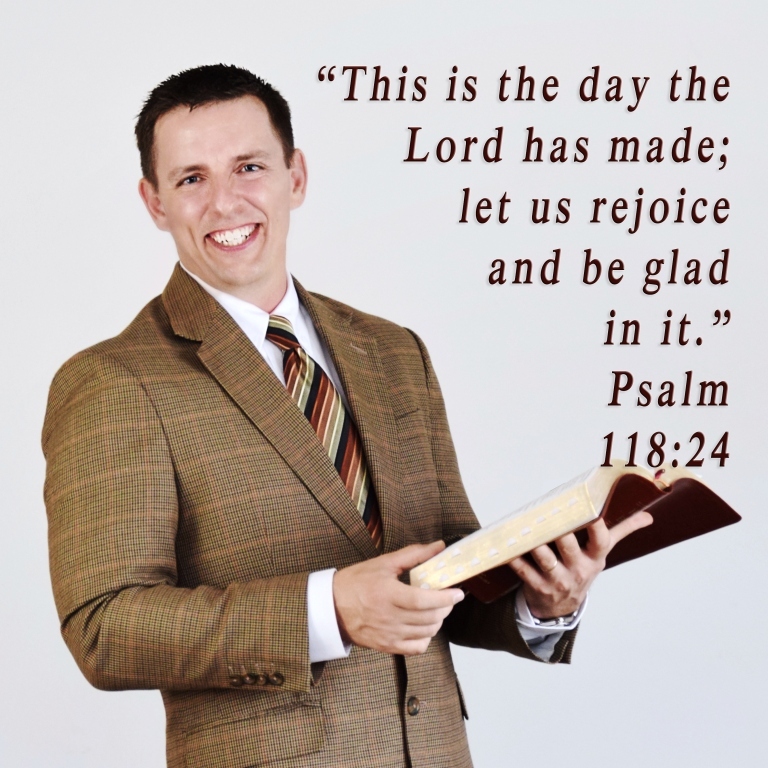 Consider also adding a day of the week to your Bible reading program when you simply open to a random book of the Bible to read an entire chapter. Pick something you haven't studied recently. Then, when you find that treasure of wisdom or beautiful description of God, share in celebration with others. You won't find any treasured geoaches if you aren't looking for them. You won't find the truths of God unless you're looking throughout His Holy Word. Keep seeking Him in scripture, you'll never know what you might find!